Oh, why did I go to Whitby? This post is part of the “I’m looking for a book about…” review group hosted by Playing By The Book. This months edition is focused on books about the seaside, beaches and oceans. More information and a schedule of upcoming topics is available here. The titular quote to this post comes from Mina Harker, a character from Bram Stoker’s near-timeless classic Dracula (available in full on the awesome Project Gutenberg here). Whitby, a coastal town on the North Yorkshire Moors, has played home to many stories. 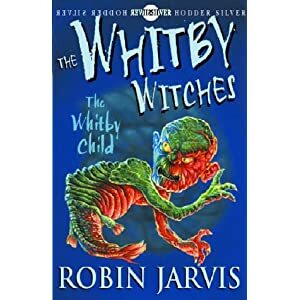 One of the most famous is Dracula but another series not many may have heard of is the Whitby Witches series by one of my all-time favourites Robin Jarvis. The Whitby Witches is a series of three books: The Whitby Witches, A Warlock in Whitby and The Whitby Child. 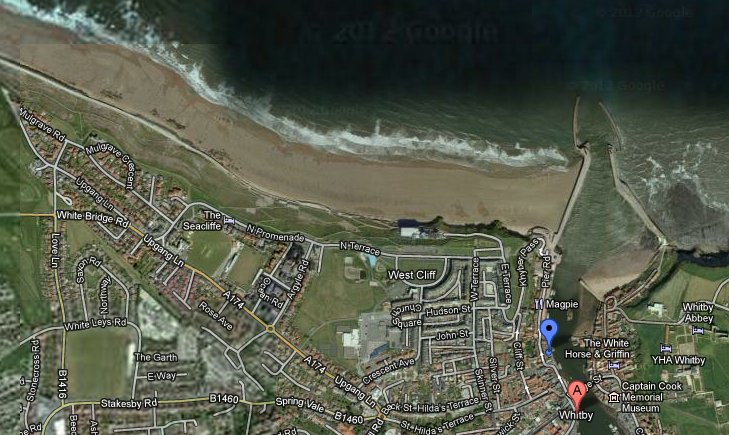 All of them are set in and around Whitby. As people who know Dracula may realise, there’s an instant link between the two stories on this front cover. However that’s only one incident in the books. The Whitby Witches opens with Jennet and Ben, two orphans who have been shuttled between foster homes, being sent to a new one. Ben is perhaps one of the biggest reasons they can’t find a “forever home” as he has the second sight and keeps seeing ghosts and things which people can’t understand – and one of those people who doesn’t wholly understand his gift is his sister. The two of them end up with Aunt Alice, a spectacular old lady character who sparks off the page, in Whitby. As Jennet and Ben try to get comfortable in their new home, Ben discovers the race of Aufwaders – visible only to those with the second sight. These are humanoid, dwarf-like creature who live in and around the coast itself; living in the sea and the cliffs and the ocean. He becomes friends with Nelda, the only young female Aufwader of the tribe, and then, inexorably Ben becomes embroiled in their fight for survival. However back in the town, surrounded by her circle of friends, Aunt Alice becomes embroiled in a fight to the death of her own. The second in the series, A Warlock in Whitby has so many continuous threads and plotlines from A Witch In Whitby it’s best read in sequence with the others. It’s also very hard to precis without giving away what happened previously so I hope you’ll forgive me if I seem somewhat cagey. What is notable about this book is the role it gives to Jennet. She becomes very pivotal and it’s hard to not feel a massive surge of empathy at how she’s used (verb chosen most deliberately throughout) by one of the newer (and very dodgy) arrivals to Whitby. The saga of the Aufwaders continues and provides a dark parallel to the experiences of Jennet. There are some very uncomfortable tones to what happens here with Nelda and it’s not an easy story to read. Jarvis manages to weave so many myths and stories into these books it’s hard to pick just one out, but what happens to Nelda has elements of the story of Persephone. On the surface, we see the impact of the new arrivals on Whitby. Naturally X is up to no good, and one particular sequence sees Ben stalking X through the town at night, up towards the Church, and it’s stunning. 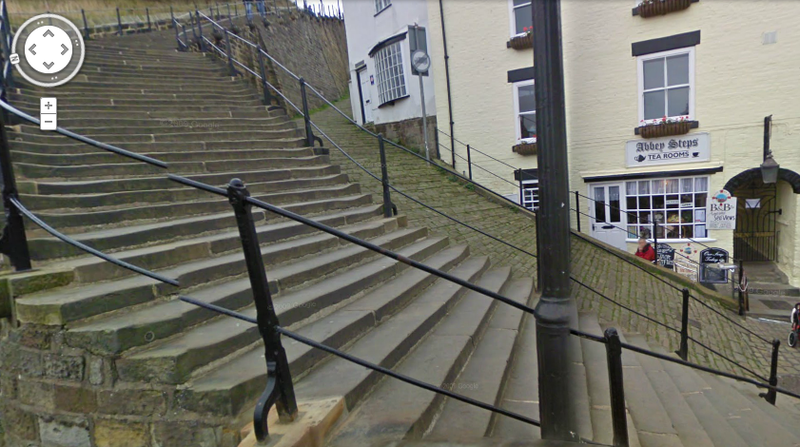 Ben runs up the slim, narrow little path by the side of the famous 199 steps so that X doesn’t see him. The below is a photograph of the exact area and it’s perfect. You can so see Ben, pressing himself to the walls to try and stay hidden, and yes, I re-enacted a lot of these books as a local kid, can you tell? And then there’s that BIG encounter by the Abbey when – well – you’ll just have to read it and see what happens! As it’s the final in the series, it’s hard to think that there’s more local folklore that can be put into these books but there is. One of the key incidents in The Whitby Child involves The Penny Hedge ceremony. This is a ceremony still carried out today and involves the erection of a fence which has to stop three tides. Everything in these books is so vitally linked to Whitby and the sea. It’s a series that is made by the power of the location and, I think, would have little to no impact if set anywhere else. Whitby is a town full of stories, of secrets, of mystery. All of these books were available on Amazon for 1p when I checked (10th June 2012) and I’d really recommend them for readers 12+ looking for something a little meatier from their fantasy or those who like fantasy to have a realistic edge. 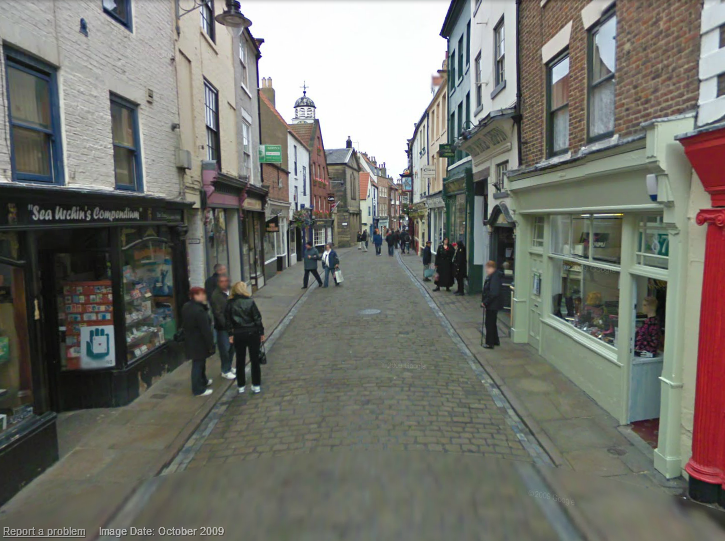 And, if you’re a reader who lives or has visited Whitby, I’d recommend them even more. All map images are (c) Google. Fabulous! I absolutely love these books. I’m brewing a blog post on social class in fantasy, and these are (I think) some of the few contemporary books where the child protagonists are explicitly not middle or upper class. Robin Jarvis joined Twitter yesterday! 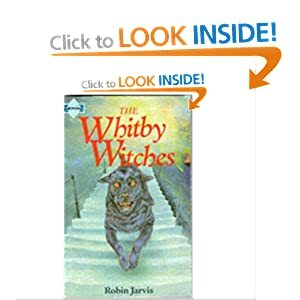 (@RobinJarvis1963 ) and this is a thing I wrote about how lovely his Whitby books are. Seriously, if you’ve not enjoyed them, now is the time to do just that. Pingback: News | Did you ever stop to think and forget to start again? 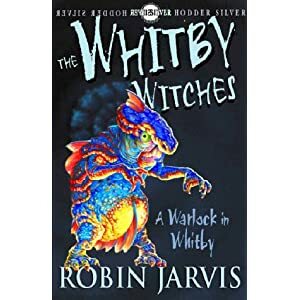 Pingback: The Whitby Witches : Robin Jarvis | Did you ever stop to think and forget to start again? I love these books and feel like I know Whitby from Jarvis’s descriptions, despite unfortunately never having been there (even though I always wanted to).